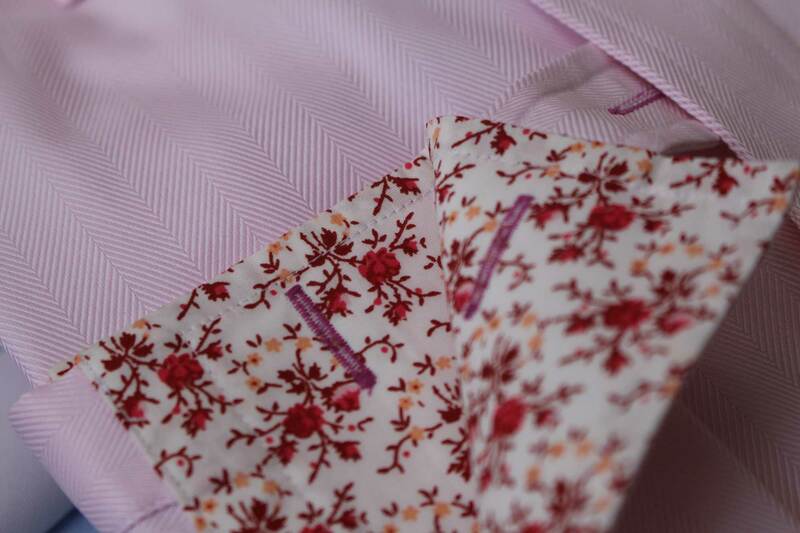 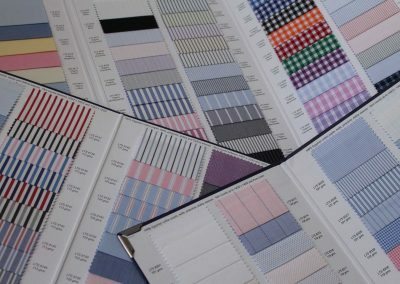 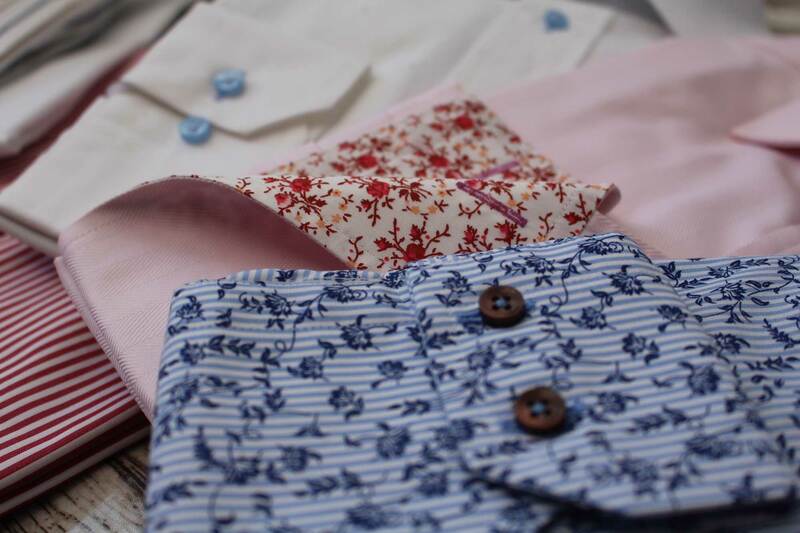 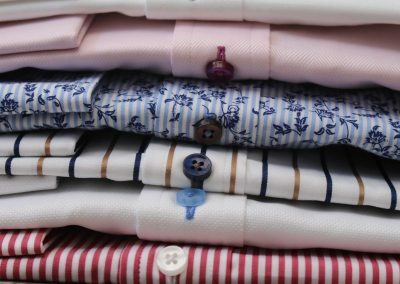 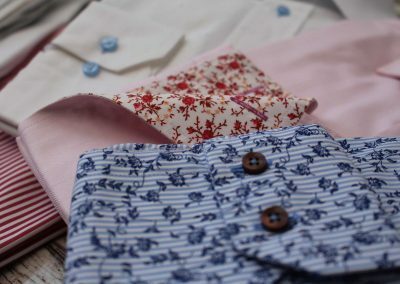 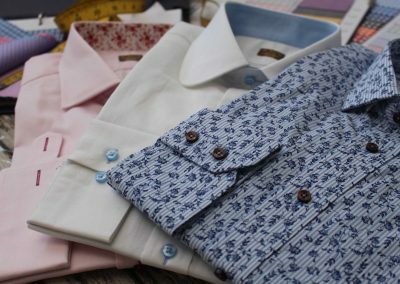 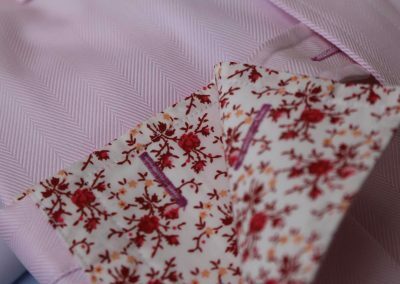 Each bespoke shirt is individually crafted with over 800 cloth patterns to choose from, all the shirts are two fold 80’s – 140’s yarn cloths, dependent upon cloth selection, giving them superb feel and quality. 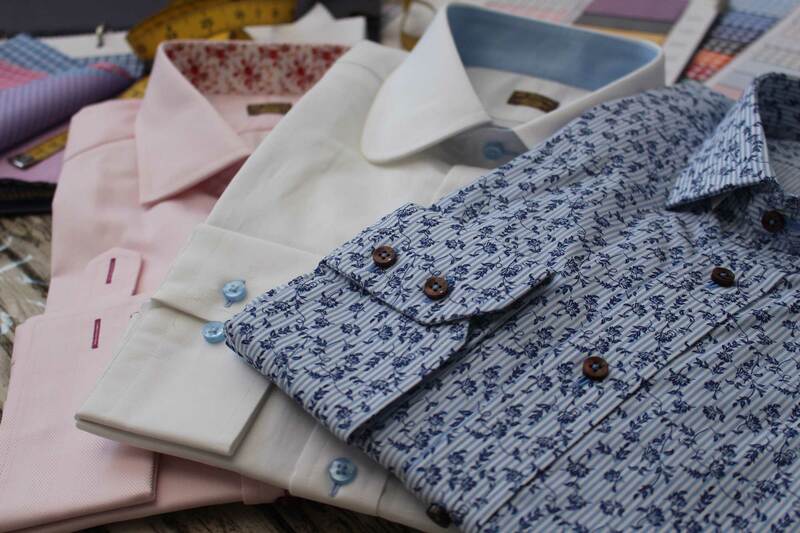 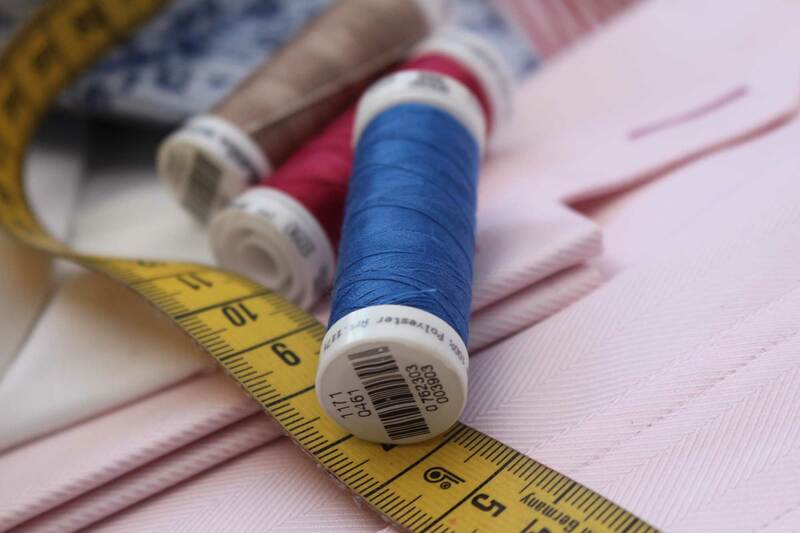 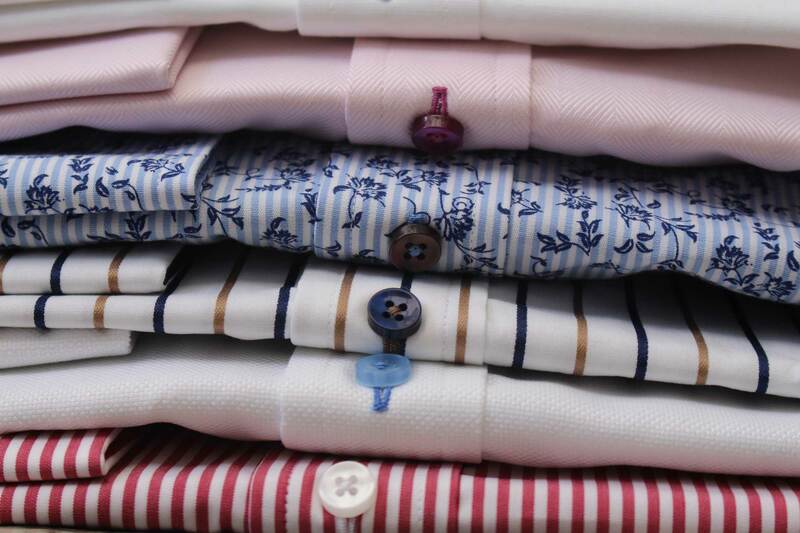 There are over 70 options of collar to choose from, 19 ranges of coloured buttons in two thicknesses, combined with 40 sewing and embroidery thread colours, to truly create a beautifully crafted bespoke shirts using numerous measurements to ensure a perfect fit for your body. 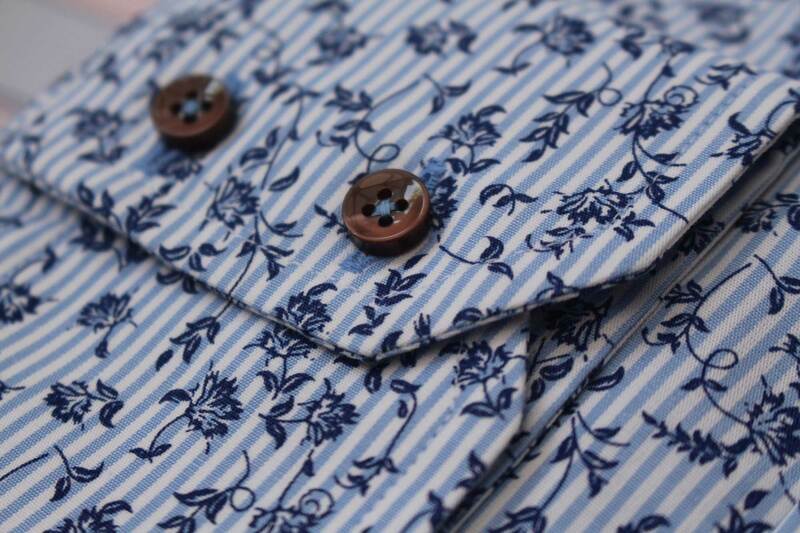 Create something different with contrast trimmings for the Inners of your collar and cuffs: Paisley, spots, checks and stripes are just a hint of the combinations available.